Airbag designed for Alpinestars Valparaiso, Stella Valparaiso and Viper jackets. 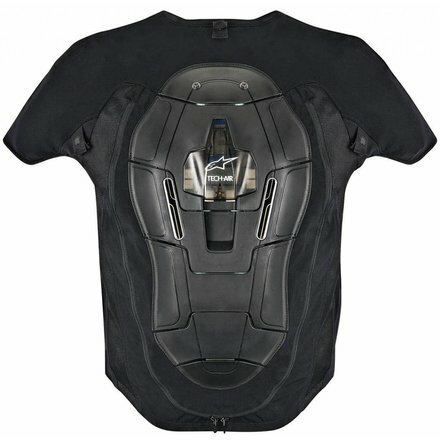 Alpinestars Tech-Air™ Bag is a groundbreaking electronic airbag system that offers riders upper body protection and the freedom to ride both on and off road and in a wide range of weather conditions. 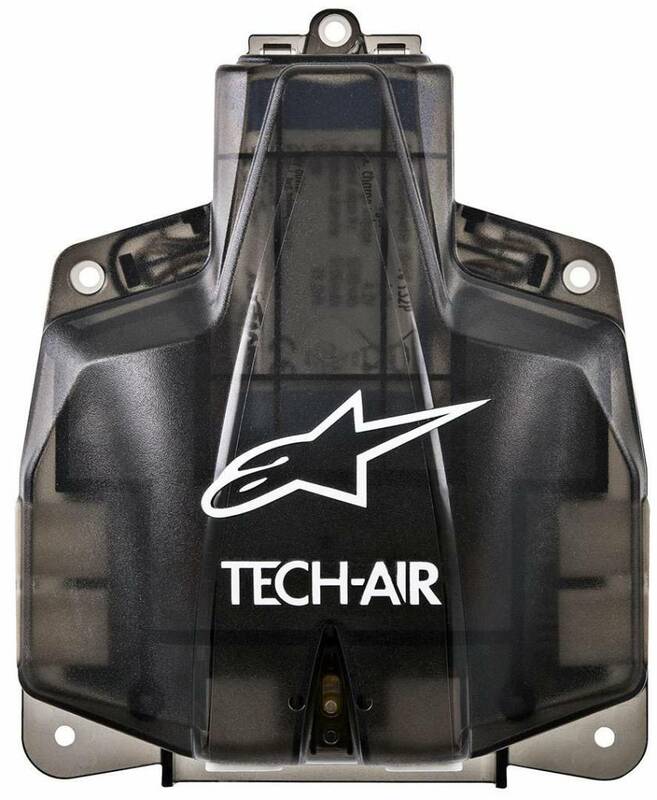 The Tech-Air™ System incorporates the airbag’s electronic control unit, componentry and airbag, which when inflated covers the back, kidney areas, chest and shoulders. 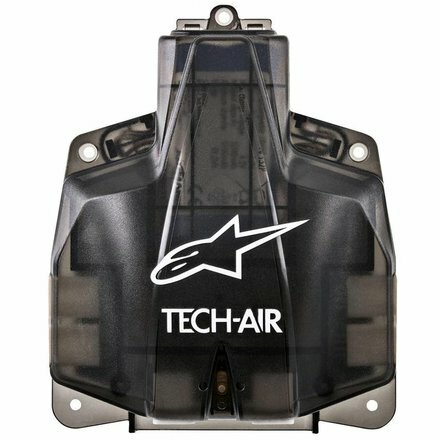 The Tech-Air™ System, sold separately and completely self-contained, offers the possibility for the airbag to be used in conjunction with an Alpinestars airbag-compatible textile outer jacket, initially either the Valparaiso For Tech-Air™ or the Viper For Tech-Air™, for superb protection in all-weather and warm weather riding conditions. The Tech-Air™ System has been designed to be used in conjunction with airbag-compatible outer jackets, which for the launch includes the Valparaiso For Tech-Air™ Jacket and the Viper For Tech-Air™ Jacket. 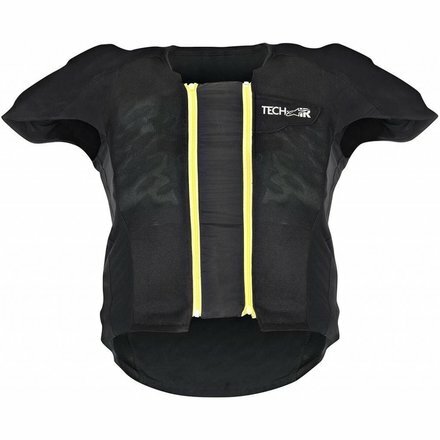 Comprehensive inflatable upper body protection for back, shoulders, kidney area, chest and upper abdomen. 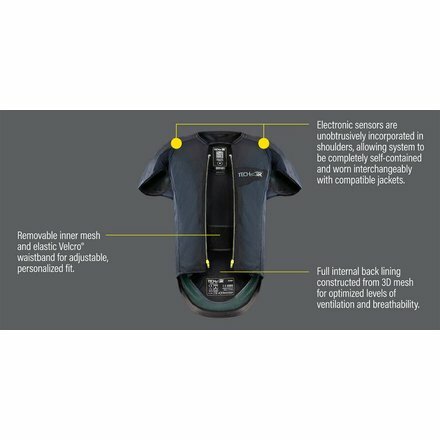 Electronic sensors are securely and unobtrusively incorporated within the system’s chassis (in the shoulder area), meaning the vest is completely self-contained and allows it to be worn interchangeably between compatible jackets. Constructed from a strong and durable mesh main shell with stretch poly-fabric on shoulders and torso for a compact and secure fit that is close to the rider’s body while allowing complete freedom of movement. Full internal back lining constructed from 3D mesh for optimized levels of ventilation and breathability. 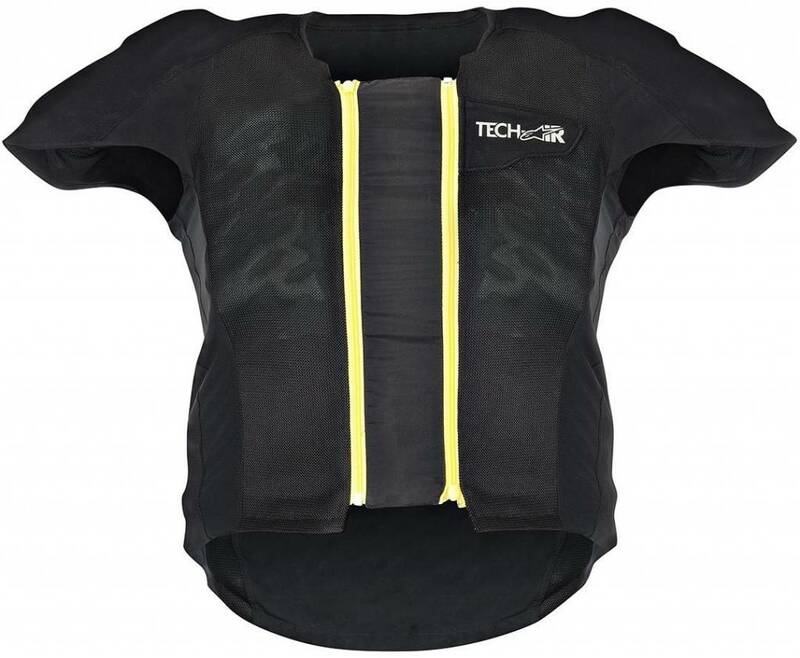 The Airbag Control Unit (ACU) of Tech-Air™ is incorporated within strong, lightweight polymer back protector, which features an ergonomic plate construction for structural strength and a fit to follow the natural contours of the back. Tech-Air™ ACU is seal-protected within vest to ensure its all-weather performance and the vest and componentry are certified to function between -10⁰C and +50⁰C. 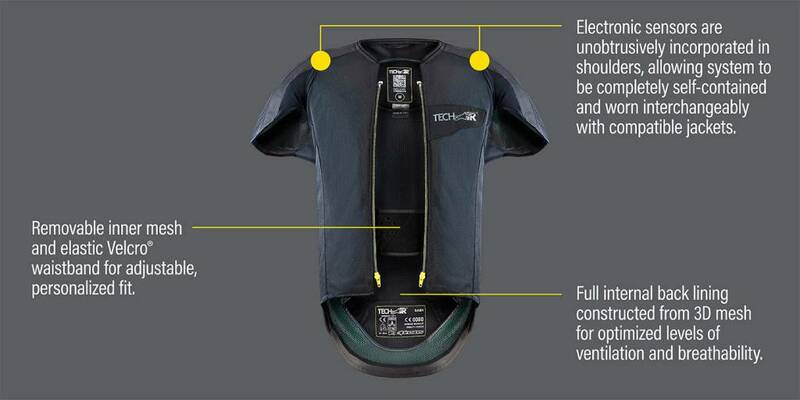 Tech-Air™ ACU includes two connector cables allowing the rider to quickly and easily connect up to the outer jacket. ACU has been homologated to ECE R10 04, which ensures the electromagnetic integrity and stability of the unit. System’s firmware is upgradable and external service record will be managed by a custom-made data portal. Tech-Air™ is Category II CE Certified to the 686/89/EEC European PPE Directive, using a version of EN1621- 4:2013, which guarantees impact protection performance from 25 milliseconds to 5 seconds. 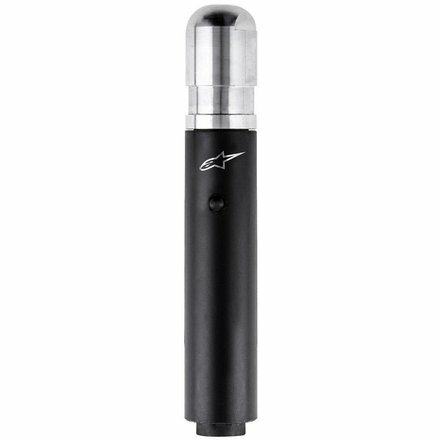 Certified to function at -10°C and +50°C to guarantee system’s use in wide range of weather conditions. Tech-Air™ design and manufacture is CE certified to the 2007/23/EC pyrotechnic directive, guaranteeing it has been assembled following all pyrotechnic handling and safety regulations. Following an airbag deployment this service is carried out by Alpinestars and will include: replacement of inflators and airbag, as well as a full system service, diagnostic check, as well as cleaning and washing of the vest. (Note: Repair or replacement of damaged components and materials, as well as shipping charges to and from Alpinestars’ dealers, are not included).